Born in 1967 in Goslar, Anja Kreynacke took her first viola lessons at the age of seven. There followed studies at the Music Academies in Hanover and Munich. Beyond that, she received a grant from the Herbert von Karajan Foundation to continue her training in the Orchestra Academy of the Berlin Philharmonic. After a one-year study program in the United States, she finished her education with Bruno Giuranna at the Academy of the Arts in Berlin. 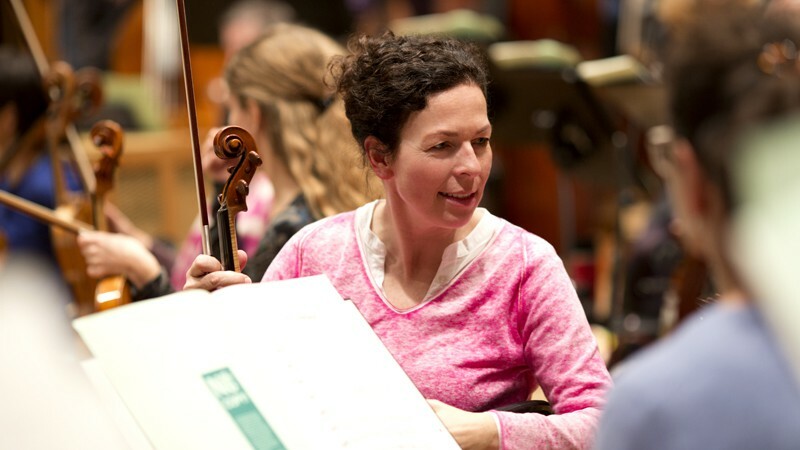 This multiple prize-winner acquired her first orchestral experience as deputy principal violist in the European Community Youth Orchestra before becoming a member of the Symphonieorchester des Bayerischen Rundfunks in 1993.